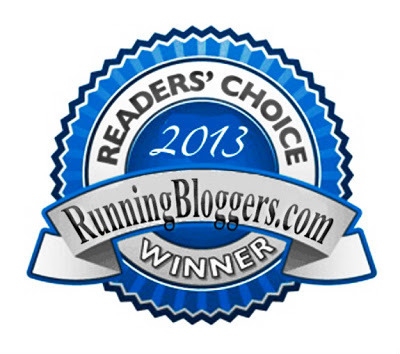 It’s time for Friday Five linkup with DC area bloggers Courtney at Eat Pray Run DC, Cynthia at You Signed Up for What? !, and Mar at Mar on the Run! Be sure to stop by their blogs and say hello! 3. You miss tripping over roots, running through mud and streams, and having some of the most amazing views while running! Today is the last day to enter my giveaway for a chance to win one of two George Mason University SMART Lab 3-D Gait Analyses. Complete rules can be found in Monday’s post. What is the longest distance you’ve run? Have you run an ultra, or do you have an ultra on your bucket list?? CRAZY lol I love it. Super cute and funny. 33 miles in one weekend is amazing! Congrats! One of my colleagues is an ultra runner — she is my hero. I’d like to try one but have no idea how to get started (and this from the woman who swore off marathons this fall because the training took too long . . .). 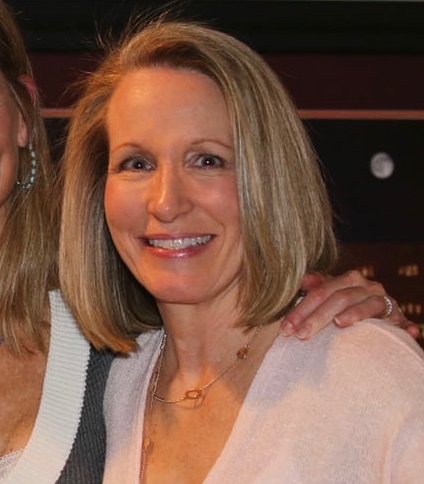 Have a great weekend, Deb! Start with a long conversation with yourself, and then if the answer is yes, consider a 50K. I didn’t know 50K’s existed (if they did back then) when I ran my one-and-only ultra. I actually do not like the idea of belt buckles for ultras. I get that they are unique and different, but really? A buckle? Maybe it is because I rarely wear belts and if I do, they are made out of rope more than leather (I’m classy). But anyway, I do like losing toenails! Fortunately, I received a medal and not a belt buckle when I finished my one-and-only ultra. I guess I would prop the belt buckle up on a shelf in my library if I got one. I can’t see myself wearing one, either. About 10 years ago, I’m working out at the local health club, and I’m chatting with a personal trainer who I knew from our kids wrestling. She explained how it’s possible to run an ultra if you have a reasonable marathon time. I’m thinking, “if she can do, I can do it….I’ll give it a shot” . She tells me to join forces with one Miles Haven, possibly the worlds finest running partner ( his jokes and stories are very entertaining). Miles (and friends) coach me thru my first JFK, in 11.5 hours, in 2008. I followed that with JFK in 2009, and Tussey Mt in 2010 (the most challlenging, yet enjoyable, race I’ve run). Thanks Debbie. Miles is the best, isn’t he? I’m so glad I introduced you to Miles, and his running group; and I’m glad I introduced you to ultramarathoning! I don’t think I could ever be talked into an ultra! However, I do know my sister is thinking about it. Haha, have you ever run an ultra? Sue @ This Mama Runs for Cupcakes recently posted…Friday 5: 5 Reasons to run a Marathon! 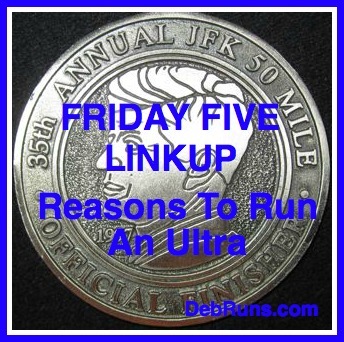 Yes, I ran JFK-50 a month after I ran my first marathon, back in 1997. It was a pretty cool experience. There’s a link to my recap in today’s post. Great list. A little funny and a little awesome. Dont know that I’ll ever run an ultra, but amazing accomplishment. 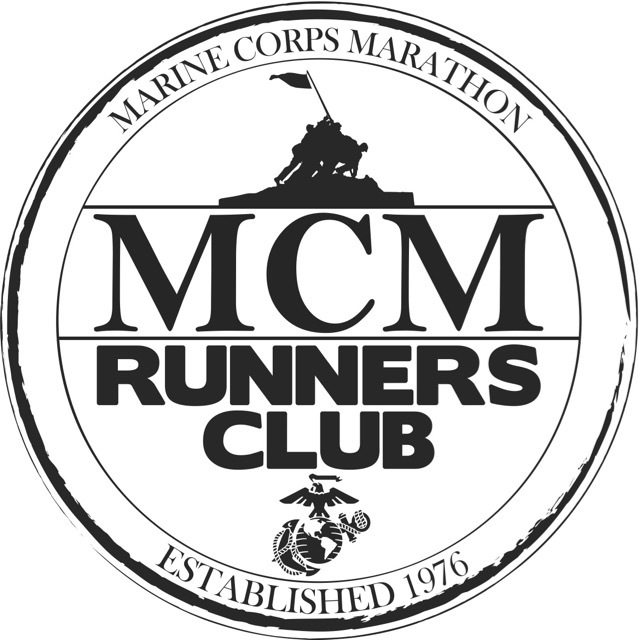 Mar @ Mar on the Run recently posted…Friday Five: Why I’m Running Marine Corps! After this weekend you’ll be a marathoner! 🙂 I ran my one-and-only ultra a month after my very first marathon (the MCM). An Ultra is what – a mile, mile and a half? Psh. I could do that. My longest official run was 5K. Felt right to me. It felt good. Maybe I’ll run another someday. No races again this weekend … but I’ll snack all day in honor of those who are. Eli, we visited my mom over the weekend, and I think I set a new record for power eating! Southern fried chicken, biscuits, gravy, mashed potatoes, etc… It’s a good thing I only eat that about twice a year! You’ve got me convinced. Sign me up! I’m sure there’s an ultra in your not-to-distant future! It’s definitely on the horizon. But sometimes horizons are further away than they look….